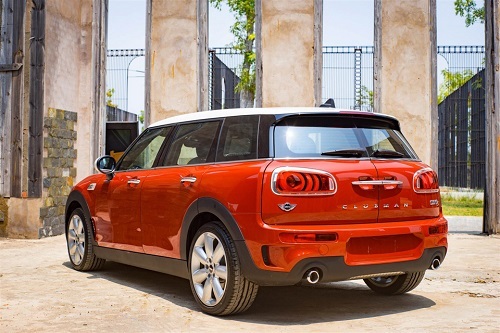 Euro Auto has officially introduced the new generation model MINI Cooper Clubman 2016. This is a version of " oversized " compact . With four doors and tailgate party with specific design open laterally , 5 seats and a spacious interior , the MINI Cooper Clubman will be the choice for those who love the MINI but need a more spacious vehicle to can go with the whole family . In the MINI family, The Cooper Clubman new generation is represented "giants" with dimensions 4253 x 1800 overall x 1448 mm and wheelbase 2,670 mm reach . Compared with the MINI 5-door , the new MINI Clubman is longer than 271 mm , 73 mm wider and longer wheelbase 103 mm . Clubman luggage compartment of 360 liters of retention and can be increased to 1,250 liters when the rear seats folded , who 40:20:40. At first glance from the outside , you can immediately recognize the size of the MINI Clubman oversized and it felt more like a wagon than compact . MINI Cooper Clubman retains the familiar car designs and details very traditional exterior that despite the large size but clearly it is still a MINI. Two circle headlights are LED and chrome plated . 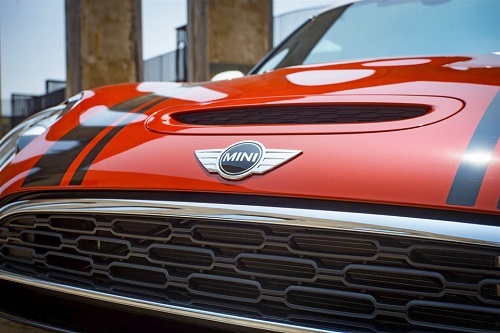 Grille with hexagonal contours along part powerful bonnet , create typical MINI style . Under the front bumper , MINI socket layout 2 air intake , they called Air Curtains with narrow slots are arranged in vertical , features outside edge of the lower air intakes . Do not take the wind passing through the cavity Curtains Air then exits outside through wind Air Breathers exit cavity in the rear 2 car side . To add features to the MINI Clubman aerodynamics , the engineers have tailored a spoiler for high-speed driving when the car down the street pressure will increase , making the car traction better. One of the features at the rear tailgate is split Split Doors with double doors to the handles , chrome shiny . 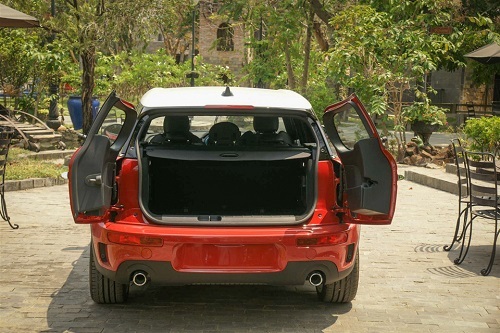 Open tailgate features without touching ( Comfort Access) is equipped standard for MINI Clubman . If the driver was carrying the car keys , just do a leg motion movement below the rear bumper to enable automatic opening. With size " giant " , the MINI Cooper Clubman new generation own a spacious interior space and luxury . 5 seats are fully equipped , convenient doors . 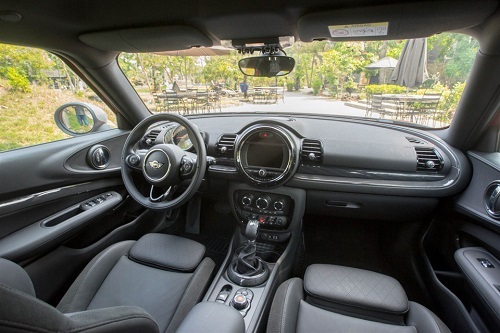 MINI Clubman is equipped with a central screen size of 6.5&apos; for the Cooper or 8.8&apos; for the Cooper S. This is a show where the car&apos;s functions , infotainment , phone and navigation ( only the Cooper S ). MINI Cooper Clubman version is equipped with a gasoline engine 1.5-liter 3 -cylinder capacity of 136 kW and maximum torque of 220 Nm at 1,250 rev / min (potentially up to 230 Nm Overboost ) . This power is transferred via a 6-speed automatic transmission and helps the car accelerate from 0-100 km / h in 9.1 seconds , before reaching a top speed of 205 km / h . The level of average fuel consumption of the car is about 5.4 liters / 100 km and CO2 emissions of 125 g / 100 km. 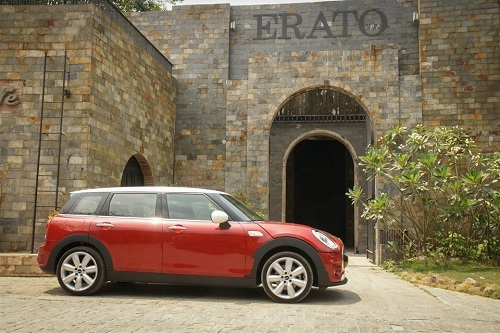 MINI Cooper S Clubman stronger with 4 -cylinder engine capacity of 2.0L 192 horsepower and maximum torque of 280 Nm at 1,250 rev / min , if it can turn Overboost increased to 400 Nm . The Cooper S is equipped with 8 -level automatic gearbox with shift lever . 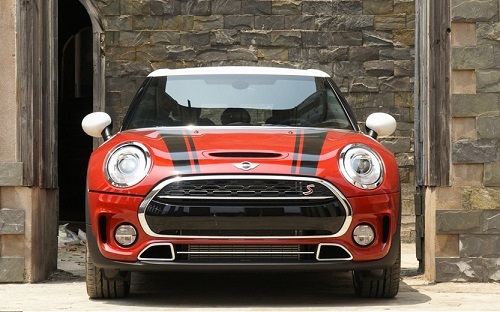 Acceleration from 0-100 km / h of 7.1 seconds Cooper S Clubman is the maximum speed is 228 km / h . The level of fuel consumption average of 5.9 liters / 100 km. Optional driver assistance features including Driving Assistant 1 device -based cruise control and camera control functions gap which automatically maintains the distance to vehicles in front , along with alert system road and risk of collision with brake function actively . In addition, customers can also optional Head - Up system MINI - Display. ( Hypertension , direct injection , Valvetronic ) . CO2 emissions according to EU standard : 138 g / km .